With so many people now a part of our academy I wanted to talk a bit about Scranton Jiu Jitsu History. This history of Jiu Jitsu in Scranton can be traced back to around 1998. That is when Dr. Brunetti first start to take lessons in Gracie Jiu Jitsu. Steve and Mark had to travel to Philadelphia to take BJJ lessons because there was no one else practicing the art in the Scranton area. After training for some time in Philadelphia Steve opened up a school with his brother in Jessup, Pa.
That is the beginning of the story. Two brothers Steve and Mark having such a great interest in Gracie Jiu Jitsu that they traveled over 2hrs each way just to learn the art. Once they opened their own school they ended up meeting and teaching Dominic Passaniti, Steve Polito and Matt Marcinek. Dom is now a black belt in Gracie Jiu Jitsu. Once Dom Started training he never looked back and has been a great student of the art and an awesome teacher as well. Matt, who was recently awarded his purple belt, Studied Jiu Jitsu for some time and then focused on Judo for many years and is now a brown belt and great judo coach. He ended up joining back up with Dom, Doc, and Mark in 2008 training both Judo and Jiu Jitsu. Steve Polito has been training and studying Gracie Jiu Jitsu since the beginning of this story and has also continued to study Muay Thai as well and is a very valuable asset to Scranton MMA for his ability to teach and coach everyone from the most basic student to the advanced competitor and our Pro Fighters. Tom McGuire Started training BJJ in 1998 and quickly fell in love with the art. Tom was able to learn the techniques from BJJ and apply them to Judo which he was a very active competitor. He trained in both BJJ and Judo for some time and then decided to focus all of his time and energy towards Judo. In 2008 he decided to start cross training in BJJ to compliment his Judo and to help introduce Judo to BJJ students. 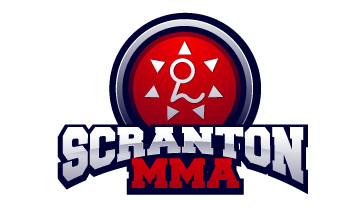 This started to form a big part of the team that would end up partnering up to become Scranton MMA. We have also been extremely fortunate to have Frank Alogna join us and pick up the art of Gracie Jiu Jitsu at an extremely fast pace. Frank is an extremely dedicated student of Gracie Jiu Jitsu, an extremely active and successful competitor and a fantastic coach for our kids, beginner students and advanced students. Steve Peragallo and Jess Papi also joined us very early on and like frank they are all extremely dedicated, very successful competitors and great coaches! We really are very lucky to have formed such a great team over the years and have such a great place to train jiu jitsu in Scranton pa!